“Whistler’s Mother” or “Arrangement in Grey and Black”? In this series of posts, to consider whether chapters and verses specifically should be accepted as an inherent part of the Bible, I’ve been exploring more generally whether the accumulated marks of any artistic creation’s subsequent history as a cultural artifact become part of its essential substance and meaning. We saw last time, in the case of the Liberty Bell, that the cultural artifact with its distinctive marks of wear—specifically, the famous crack—is actually preferable to the original pristine artistic creation, but only because this is an even better expression of the creators’ intentions. In other cases, good reasons can be given for stripping away at least some of the marks of an artistic creation’s subsequent history as a cultural artifact, similarly in the interests of preserving or recapturing the creator’s original intention. Consider the painting that James Abbott McNeill Whistler originally entitled Arrangement in Grey and Black. It has been given the popular title Whistler’s Mother and it has become an icon for motherhood and filial devotion. 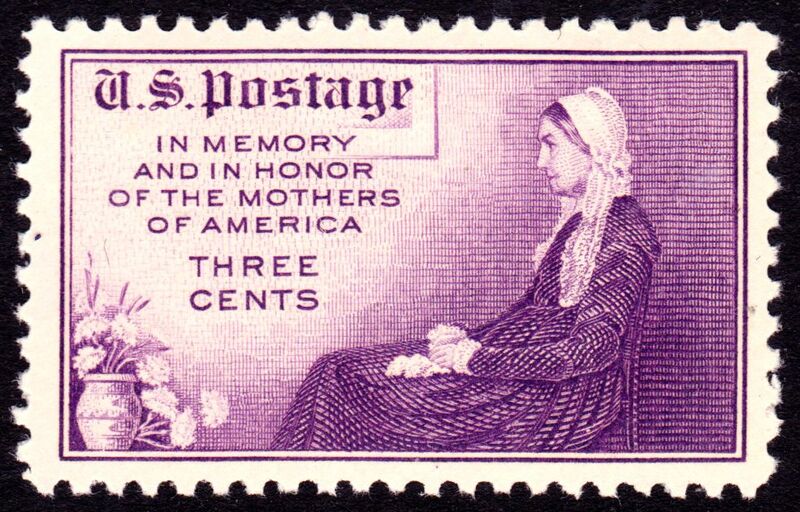 In 1934 the U.S. Post Office even issued a stamp “in memory and in honor of the mothers of America“ that included only the figure from Whistler’s painting, not the overall composition, and even added some potted flowers! In other words, Whistler himself explicitly rejected the sentimental approach to art that a title such as Whistler’s Mother would imply. A viewing of his painting that was informed by this title, and which saw it as an expression of filial love and devotion, would therefore necessarily be in opposition to his intentions. If we wish to understand the painting at all according to Whistler’s intentions, its popular title, at least, should be stripped away and replaced with the original one, and the figure should be situated within the entire original composition, so that viewers can once again appreciate Whistler’s purposes in painting it. Some might counter that the figure in the painting has a universal quality, evocative of timeless human experience, that permits and even demands that its meaning not be limited by the views of the man who created it at a particular moment in Western cultural history. Suppose that’s true. Then even though we would certainly want to be aware of Whistler’s views and intentions, we could find a meaning in this figure that transcends them and reaches into interpretations that Whistler not only didn’t intend, but would actually have opposed. In other words, a viewer might, in the end, see greater value in Whistler’s Mother than in Arrangement in Grey and Black. However, we must note that a viewer making this judgment is not really seeing Arrangement in Grey and Black, but only a detail from it. It is this detail, isolated from the rest of the composition, that people have used as an icon for filial devotion (as on the 1934 stamp). Some meaning contrary to the artist’s intentions may be imputed to this isolated figure, but not to the composition as a whole, in its entirety as he created it. I’ll conclude this series next time with some thoughts about the Bible in light of the examples I’ve explored. Previous Previous post: Would the Liberty Bell still be the Liberty Bell without the crack? Next Next post: Is the Bible what it has become?